Lynda Monk, MSW, RSW, CPCC, founder of Thrive Training and Coaching, is a Registered Social Worker and Certified Life Coach with over 25 years of combined experience as a social worker, trainer, facilitator, consultant, writer, coach and speaker. 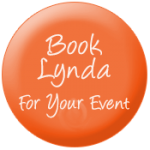 Lynda is an experienced facilitator and has trained thousands of professionals across Canada. 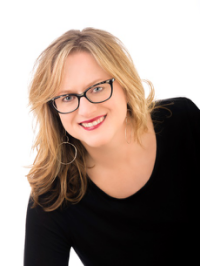 She regularly teaches, coaches and speaks on various topics including self-care, burnout prevention, compassion fatigue, vicarious trauma, care for caregivers, writing for wellness, mindfulness, leadership, change management and resilience. Lynda primarily serves professionals and organizations within the healthcare, education, human and social services sectors. She specializes in serving the well-being and growth needs of individuals and organizations that make a difference. You can learn more about Lynda’s work at https://lyndamonk.com, http://creativewellnessworks.com and http://iajw.org. Lynda lives with her family on Salt Spring Island, BC. The goal of this presentation is to provide inspiration and information for thriving in these uncertain, complex and ambiguous times. What does it mean to thrive? How do individuals and workplaces cultivate resilience, adaptation and inclusion during times of change? During this interactive keynote, participants will learn the six key elements that foster human potential in order to create work environments that foster high performance, engagement and excellence through times of change and beyond. Stress and burnout are common challenges that many leaders and staff face in the workplace today. These challenges can lead to inefficient work, difficulty making decisions, irritability, fatigue and other symptoms that can compromise the performance excellence and career satisfaction that is desired. 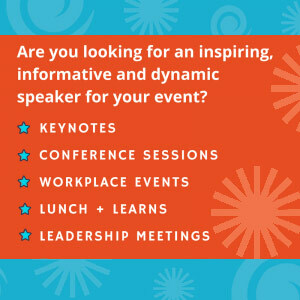 During this keynote presentation participants will learn the difference between stress and burnout, discover strategies for dealing with stress, preventing burnout and enhancing balance for increased success and well-being. "Lynda’s workshop on burnout prevention and resiliency for social workers was a very relevant day for our staff. She was able to keep everyone engaged with thoughtful exercises and interactive discussion, which made the material come alive. The piece that really resonates for us is Lynda’s depth of clinical experience and examples from her work that echoes our experiences. Thank you Lynda for sharing your knowledge and experience with our team! " "It was evident from the outset of working with Lynda that she’s deeply passionate about her work, speaks from experience, and embodies what she teaches. The resiliency training she tailored for interdisciplinary healthcare staff was well rounded with information and resources, narrative examples, experiential exercises and relationship building. She was attentive to details and our particular training needs in the planning and follow-up, readily available, and invited feedback. Participants were very appreciative. I’d be glad to work with Lynda again." "Lynda is an amazing speaker and passionate about the topic of self-care. Even though we were on a webinar Lynda was engaging and solicited comments, questions and feedback from the participants. In addition to Lynda's breadth and depth of knowledge on self-care for social workers, her comfort with technology helped guide our BCASW branch in the right direction enabling us to invite other branch members across the province to this professional development event. Lynda's response time to communication and commitment to deliverables is admirable. Thanks again!" Do you want a Complimentary Thrive Coaching Session? Click here to learn more and schedule your Thrive Coaching call.